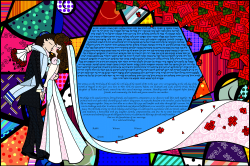 Brazilian-American contemporary artist Romero Britto produces gorgeous works of art utilizing paint, sculpture, and printmaking. 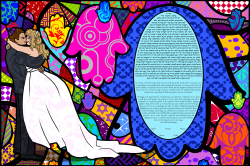 His collection of artwork combines pop art and cubism with a distinct urban feel. 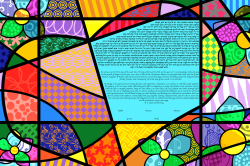 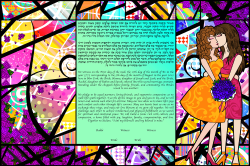 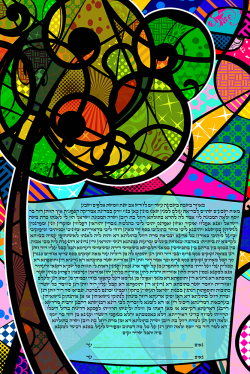 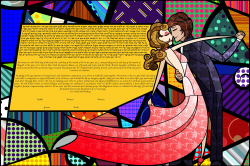 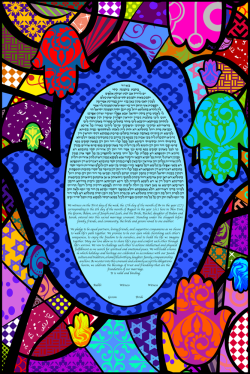 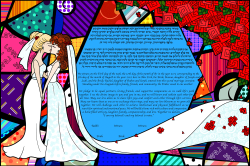 With tons of color and dramatic detail, it was an absolute necessity to create a collection of Ketubah designs that are inspired by Britto's one-of-a-kind, edgy style.